For info re: activities on Chol HaMo'ed Pesach, see link at the bottom of the page. Educational and interactive tours for all ages, from gan children up to retirees. 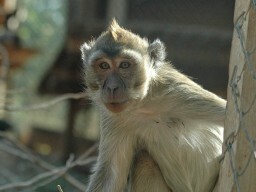 During your tour, you will get to know some of the monkeys and their background. The monkeys that live at the sanctuary are exclusively ones that needed help, and were given a professional, warm and loving home at the sanctuary. The tour includes: huge gymboree, extreme sports, craft area and additional activities according to season. 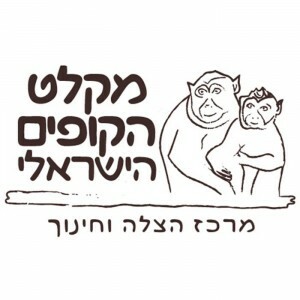 The Israel Primate Sanctuary is a non-profit organization, that focuses on the rescue and rehabilitation of monkeys. Monkeys that come to the sanctuary include those taken out of research laboratories, those smuggled in to the country and kept in difficult conditions, monkeys that people illegally tried to raise in their homes in a futile attempt to make them into pets, and any other monkey in distress. Vacations (including the summer vacation), Shabbat and Chag: 10:00-16:00. You can stay in the park for up to two hours after closing time. 10% Off All Pesach Activities! Fixed 10% discount for ModiinApp users on all activities when you visit the park! Part of the app's "Fixed Discounts All-Year Round" category.